I love love love salsa. Salsa of any kind. It’s very versatile. From the traditional tomato-based Mexican style salsa to a sweet and fruity summertime peach-mango salsa, I love them all! Nothing makes me happier! Salsa is a great topping for grilled fish, a healthy addition to salads or a great accompaniment to the none other, freshly fried corn tortilla chip. Salsas are easy and quick to throw together and brighten up any meal. 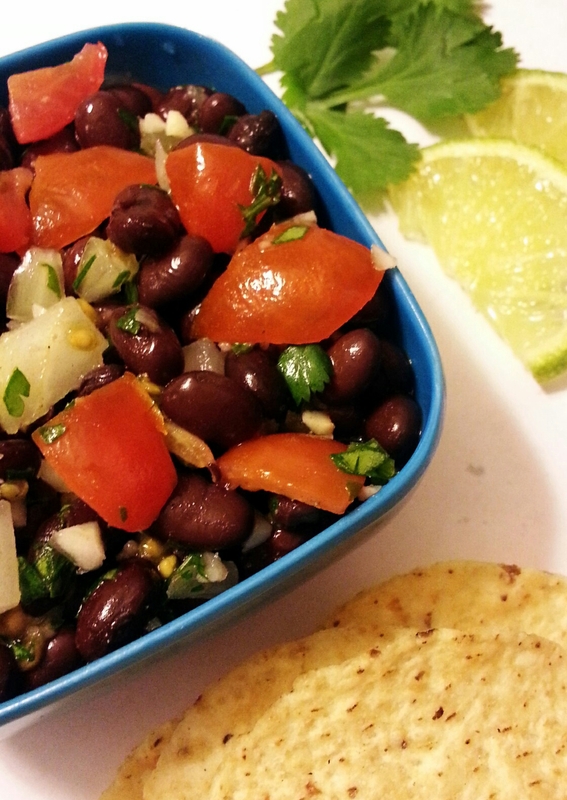 Replace this Black Bean Salsa with re-fried beans on your next taco night! Everybody will love it! Enjoy! In a medium bowl, combine all ingredients together. Done! That’s it! Told ya it was easy! Store covered in the refrigerator for up to a week. Enjoy! This entry was posted in Dips, Food, Munchies, Recipes, Salads, Sides and tagged black bean salsa, black beans, cilantro, lime, Mexican, salsa, tomato. Bookmark the permalink.